A former parish sister says she feels “like a prisoner” after being left in a care home for more than 16 months. Sister Megan Haisley, 74, who suffers from chronic arthritis has been a resident at The Oaks, in Hindley Green, since the beginning of 2017. But as someone who has always treasured her independence, Sister Megan has become increasingly frustrated at being looked after alongside people with dementia at the Oak Avenue home. Her problems began when, due to her arthritis and a hospital stay, she was unable to return to her bungalow in Chatsworth Drive, Leigh. When her condition improved slightly she was relocated to Garret Hall Road in Mosley Common - however she says the property was not properly adapted for her needs and stays in homes including Richmond House and Lyndene followed before the switch to The Oaks. One of the final straws came recently when she bid for a sheltered bungalow via the council’s online lettings system, only to find it had been allocated to a third party at the start of June. “This is a last-ditch effort to get something done about this. I feel like a prisoner in here,” said Sister Megan, who used to work at St Gabriel’s on Leigh’s Higher Folds estate, at later St Joseph’s at Boothstown, for more than 20 years as sacristan. She has also received a letter warning that her benefits may be stopped but she is adamant that her circumstances have not changed and she has always tried to keep her financial affairs in order. Wigan-based church advocacy group Lean On Me has been offering support to Sister Megan but she has also been critical of the assistance offered by the borough’s social services. 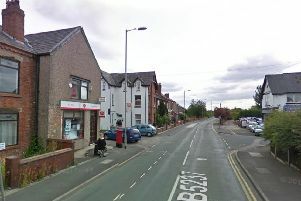 After the Wigan Post began investigating her case with Wigan Council, the former local government officer and medical secretary was offered three properties, which she is now considering. Jo Willmott, the council’s assistant director for provider management and market development, said: “We are sorry to hear Sister Haisley has not been successful in applying for her desired home.